Memorial Day weekend is right around the corner. The holiday traditionally kicks off the summer season. That means boating out on the lake, lazy days at the beach, yard work, and long road trips. Wearing sunglasses isn’t just about making a fashion statement, or even comfort. They may actually serve as an important line of defense against eye cancer. Sun can damage tissues in your eyes just like it does the skin. Of course, you can’t rub sunscreen on your eyes. That’s why you need to have (and wear) ultraviolet blocking sunglasses. And ultraviolet blocking is key. To protect your eyes, you need quality sunglasses that provide 100% UV protection. You want to wear sunglasses that block all UVA, UVB, and UVC rays. Many optical shops have a machine called a photometer that measures UV transmission through glasses. You want to make sure your sunglasses filter out all UV radiation or light under 400 nm in wavelength. Ocular melanoma is the most common primary eye tumor in adults. Doctors diagnose around 2,000 new cases every year. These tumors are closely related to skin cancer. Since exposure to the sun is a known risk factor for skin, eyelids and conjunctival cancers, it follows that UV rays from the sun may also increase the risk of developing this form of eye cancer. There is circumstantial evidence linking exposure to sunlight and ocular melanoma. This form of eye cancer is more common in patients with blue eyes, arc-welders and those who work in outdoor occupations. So don’t take a chance. Make sure you have sunblock for your eyes – a quality pair of sunglasses. Radiation plaque therapy is the most common treatment for melanoma inside the eye. This eye and vision sparing treatment utilizes a metallic plaque, sometime called a “radiation implant” or “radioactive source.” The doctor surgically implants the plaque on the wall of the eye, covering the base of the intraocular tumor. The implant remains in place for five to seven days, delivering a highly concentrated radiation dose to the tumor. The plaque’s location on the eye means surrounding healthy tissues get relatively less radiation exposure. Once the plaque is in place, The New York Eye Cancer Center patient spends the rest of the treatment period at home or at a hotel. After the prescribed amount of time, the patient returns to the hospital to have the plaque safely removed. The following video explains the procedure, what to expect, and the safety measures that must be followed during the course of treatment. A new study by Dr. Sonal Chaugule and Dr. Paul Finger has identified a promising treatment for patients diagnosed with iris melanoma. This is a first study describing regression characteristics in published literature. Uveal melanoma is the most common primary intraocular malignancy in adults. Iris melanoma is the rarest cancer in this family, making up only 2% to 3% of cases. However, recent studies have found that biopsy-proven iris melanomas can spread outside the eye in up to 11% of cases. 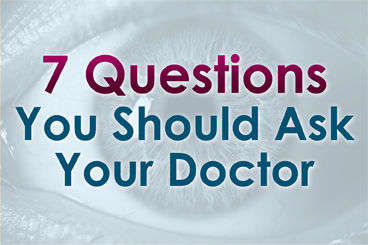 These findings support the treatment of iris melanomas. In the past, most patients with melanoma of the iris were treated by removal of the tumor along with the surrounding iris. Though the tumor is removed, the surgical procedure usually leaves a giant pupil with a non-functional iris sphincter and symptoms of glare. “After part of the iris is removed, it is like having one pupil constantly dilated, even in the sun,” Dr. Finger said. In their new study Chaugule and Dr. Finger describe patterns of tumor regression and side effects after iris-sparing treatment for iris melanoma using palladium-103 (103Pd) plaque brachytherapy. At the New York Eye Cancer Center, plaque brachytherapy has been found to be a conservative treatment modality with low local recurrence rate. Treatment with plaque radiation to sterilize the melanoma eliminates the need to open the eye, remove the tumor and make the pupil abnormally large. Dr. Chaugule sought to examine and document the patterns of change after plaque radiation therapy for iris melanoma. The study included 50 patients with iris melanoma who underwent 103Pd plaque brachytherapy with at least 6 months of follow-up. Pre-treatment and post-treatment tumor morphology, gonioscopy and high frequency ultrasound imaging was studied and analysed. In this study, palladium (103Pd) plaque brachytherapy of iris melanomas showed dissappearance of blood vessels within the tumor,, darkening of tumor surface, and decreased tumor thickness. With 100% local and systemic control at a mean duration of 5.2 years, the study shows this to be a safe and effective pupil sparing treatment. You can click here to download and read the full study.